Just before tearing down an old barn in New Hampshire in 2006, a contractor discovered a treasure: seven reels of film that he donated to the Keene State College Film Archives. 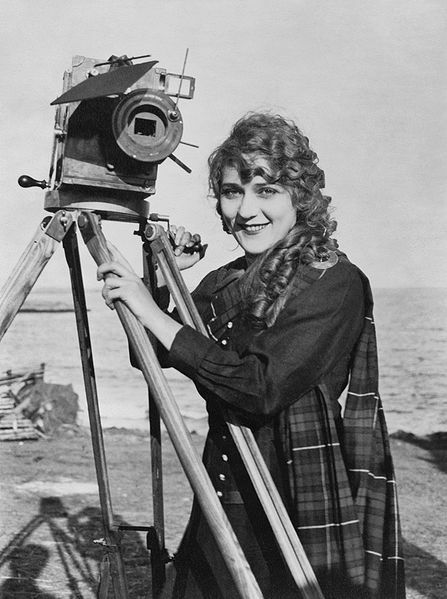 At least four of those films were considered lost, including Their First Misunderstanding, a 1911 silent short film featuring silent movie star Mary Pickford appearing in her first credited role. This production is considered a game changer because the two-reeler helped establish Pickford into becoming the first female star of the Silent Era. Her contracts were central in shaping the Hollywood industry. Before that, film moguls didn’t desire that actors become household names because of this very real fear concerning cinematic budgets. Eventually known as America’s Sweetheart, Pickford co-founded the independent film studio, United Artists, and she was one of the original 36 founders of the Academy of Motion Picture Arts and Sciences. In addition to her Best Actress Oscar for Coquette, Mary Pickford received an Honorary Award for Lifetime Achievement in 1976. This gem compliments so-called lost Alfred Hitchcock silent films touring the country. What makes the Pickford-restoration so vital is 90% of the movies made before 1930 are considered gone. The New Hampshire contractor has been invited to the screening. He is expected to attend. This entry was posted on Tuesday, September 24th, 2013 at 12:26 am	and is filed under Blog by Manny Pacheco. You can follow any comments to this post through the RSS 2.0 feed. Responses are currently closed, but you can trackback from your own site.